A giant step towards a nuclear free world is in reach – but will it be sabotaged at the last minute? A ground-breaking new UN Nuclear Weapons Prohibition Treaty could be agreed tomorrow – or it could be consigned to the special purgatory of lost opportunities that could have saved the world. Image: Flickr/Daniel Foster, some rights reserved. Over 70 years since atomic bombs flattened Hiroshima and Nagasaki, the United Nations stands on the brink of achieving a ground-breaking new treaty to prohibit nuclear weapons. Through negotiations open to all UN member states, a strong and effective text has been developed banning nuclear weapons and enshrining future disarmament obligations. Faced with some delaying tactics, conference president Ambassador Elayne Whyte of Costa Rica explained the urgency of meeting the agreed timetable to conclude and adopt the treaty by 7 July. That deadline is important. It's the last day allocated for these negotiations in the 2016 UN General Assembly resolution (UNGA 71/258) adopted last December. Miss it, and the text goes back into the UN's labyrinth of resolutions trying to get extra time and money for further meetings, with the risk that the nuclear-armed states will manage to consign it to the special purgatory of lost opportunities that could have saved the world. Why is this treaty so important? Because of the powerful humanitarian case that has taken this treaty process forward from meetings in Oslo, Mexico and Vienna to the United Nations, driven forward by the International Campaign to Abolish Nuclear Weapons (ICAN). The core obligations in Article I prohibit states from developing, testing, producing, manufacturing, acquiring, possessing, stockpiling, transferring, deploying, stationing, using or threatening to use nuclear weapons, under any circumstances. It also makes it illegal to assist, encourage or induce, in any way, anyone to engage in any activity prohibited to a state party under this treaty, extending the prohibitions to non-state actors as well. 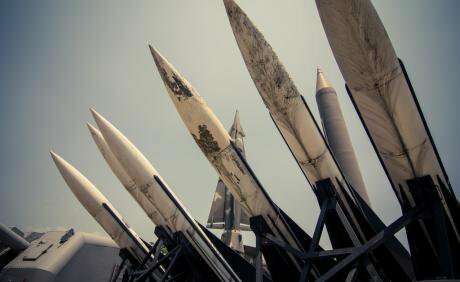 Other provisions lay out basic principles and pathways for how states that currently possess nuclear weapons or engage in nuclear deterrence alliances, policies and practices can join and implement the treaty. The treaty therefore underscores the necessity to eliminate as well as prohibit nuclear weapons, but recognises that conditions are not yet ripe to establish a fully comprehensive timebound programme immediately with all desirable bells and whistles in place. This nuclear prohibition treaty is a huge legal and normative step in the right direction. But it is also a pragmatic step, recognising that technically and politically evolving conditions mean that it is better at present to leave the precise technical, verification and institutional requirements to be worked out between each acceding government, as well as involving existing organisations such as the International Atomic Energy Agency (IAEA) and the Comprehensive Test Ban Treaty Organisation (CTBTO), so that the best tools can build mutual security and confidence as the treaty becomes further embedded in law and diminishes the role of nuclear weapons in the world. This is a stand-alone treaty, but will also connect with networks of agreements in nonproliferation, arms control and international humanitarian law. In keeping with the humanitarian imperative and the treaties banning landmines and cluster munitions, this treaty also for the first time establishes obligations on victim assistance and environmental remediation. It is also the first treaty to recognise gender-related aspects of nuclear programmes and the disproportionate harm nuclear weapons and testing have caused to indigenous people, especially women and girls. Nor could anyone observing these negotiations fail to be struck by how many women of all ages and ethnic backgrounds are providing active leadership and participation in these humanitarian disarmament strategies and negotiations, unlike the traditional arms control and non-proliferation establishments. The devil isn't in the detail, but in the opposition that continues to cling to nuclear weapons in a handful of countries that together threaten the world with around 15,000 nuclear weapons. These are the ones that have chosen to hang self-serving theories of national and international security on the status they attach to the possession of, and threats to use, the most abhorrent weapons of mass destruction produced by military science. And these are the countries conspiring to kill the nuclear prohibition treaty before it can be adopted on Friday. On so many levels, this nuclear ban treaty is historic. The culmination of years of humanitarian disarmament meetings and grassroots actions, it is just a day away from fruition. But that also means that people and institutions with vested interests - political, status or financial – in retaining nuclear weapons are mounting last ditch attacks to prevent its adoption. During the past few weeks, there have been ominous signs that some of the nuclear-armed states who failed to derail the UN talks are engaging proxies inside the room to weaken the text, and if that doesn't work, to run the treaty out of time with diplomatic versions of filibustering, likely to increase on the final day. As senior diplomats who have led pro-ban initiatives are suddenly side-lined or recalled by nervous capitals, no-one should underestimate the importance of this treaty, not least to the states that want to possess nuclear weapons in perpetuity. Dirty tricks and time-wasting tactics notwithstanding, there is more than enough commitment and determination in the room to get the job done on Friday. Ambassador Whyte and her team have piloted through a strong treaty text that covers the most essential issues. The time has come to accept this as the highest achievable compromise. Yes, most of us would no doubt like a bit more here and there, but these cherished wish-lists are not worth the risk of running the treaty out of time and losing everything we've achieved so far. A few tweaks may be necessary and possible. Apart from those, we need to start consolidating and protecting what we have, so that it gets adopted on Friday and can get opened for signature as soon as possible. Only then can it start to change the world. It enshrines the necessary principles and obligations, while creating a legal and normative base that can be added to and strengthened as technologies and politics evolve over time. The text is as good as it can get at this stage, and will provide a huge step forward to efforts to eliminate nuclear weapons and create peace and security without nuclear weapons. Carping from the side-lines about what isn't in this treaty misses the point… unless their intention is to fuel doubts and opposition among those who need to pull the stops out to get the treaty adopted on Friday. It provides so much that governments and civil society can use to end reliance on nuclear weapons and build the peace and security of a nuclear free world. It doesn't do everything – no legal text does. But if we put everything we can into getting this treaty adopted on Friday, it will take the world much much further than we are today in delegitimising, stigmatising, and banning nuclear weapons – the vital next steps towards achieving their total elimination.